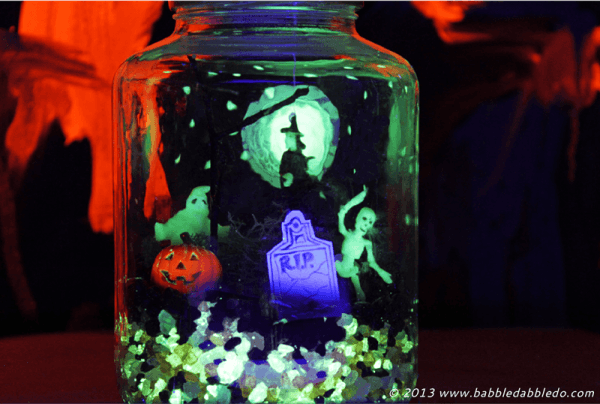 With Halloween just around the corner its time to start thinking about how to make the spookiest party decorations you can! 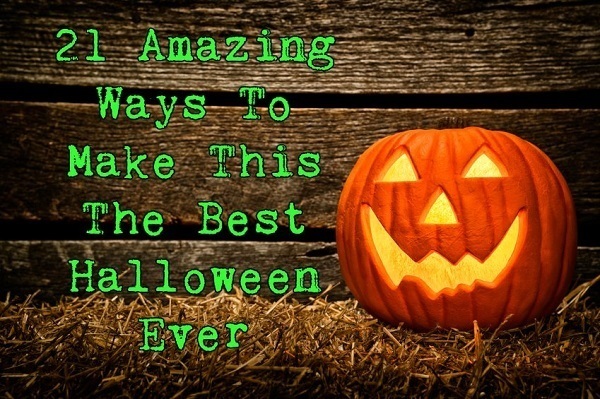 We’ve compiled the best of the best from our collection of Halloween posts to help you do just that. DIY decorations give you the ability to customize your decor to fit the theme of the party or your own tastes! Whether you are looking for something spooky or you want to take the cute, whimsical approach we have a little bit of something for all the ghosts and ghouls. Check out our picks below for fun interior and creepy exterior decorations. Let’s kick this Halloween off with a BOO! 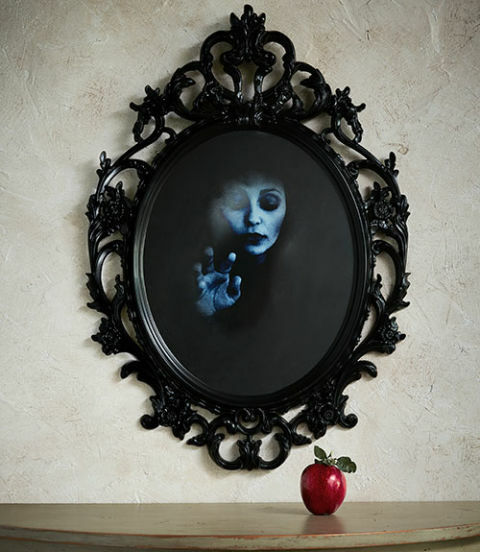 Ghostly Evil Queen Mirror – This piece calls to mind an alternate fate for the Evil Queen from Snow White. Stuck in her mirror, she presses against the glass in an effort to get out. Spooky, but elegant! 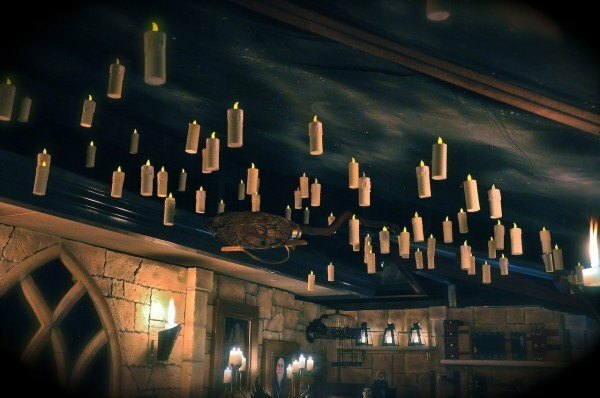 Floating Candles – Just like the Great Hall in Harry Potter, fill your party with magical floating candles! 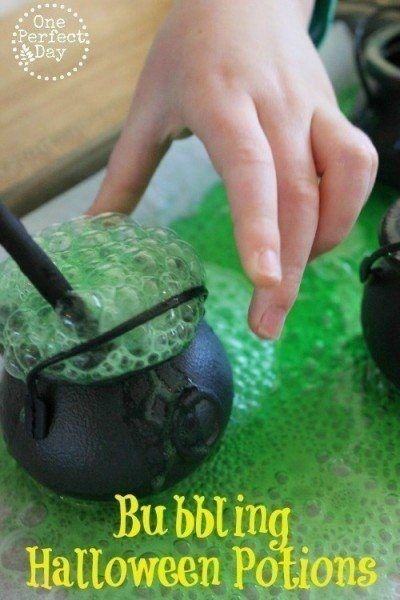 These can make a fun addition to a magic-filled party or even in a spooky haunted house. 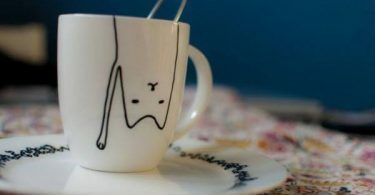 The DIY is straightforward and detailed. 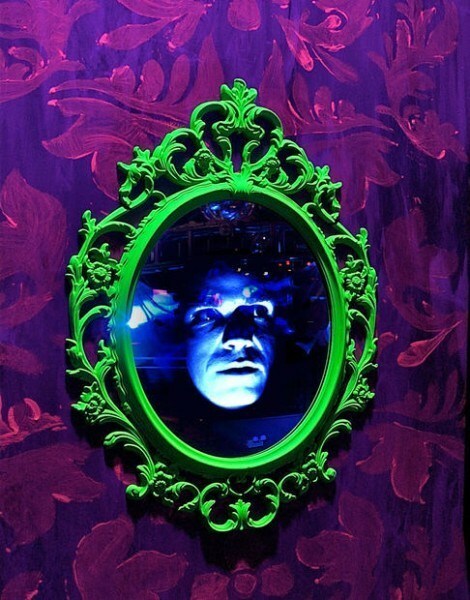 Talking Spooky Mirror – This is another special effects project that looks really complicated, but is really quite easy to do. Up your Halloween game and scare the pants off your guests! 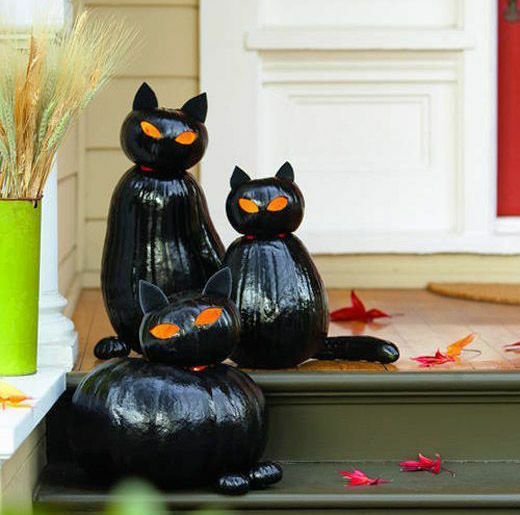 Black Cat Pumpkins – These black cats make some adorable front stoop decorations and are fun to create. Find different pumpkin shapes to create different looking cats and enjoy these little cuties. 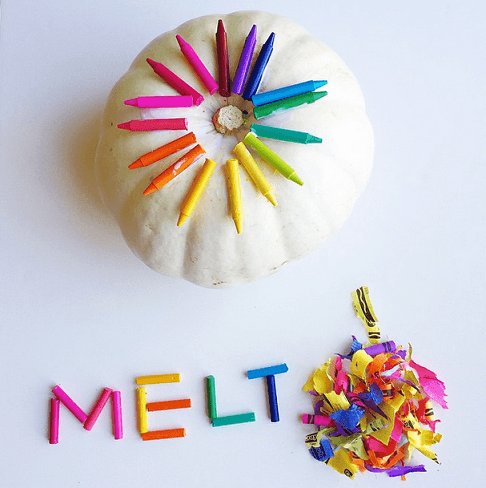 Confetti Pumpkins – These fun confetti pumpkins are a striking design addition for a contemporary party design! 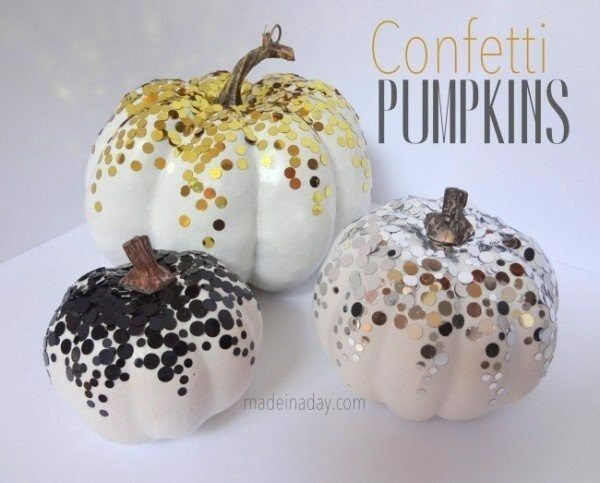 If you are not a fan of more traditional designs, these modern pumpkins may be just your style! 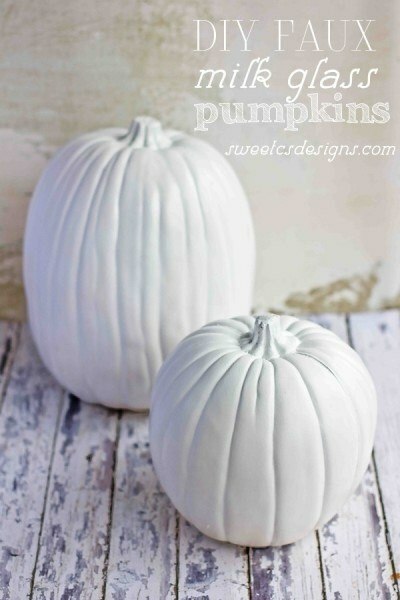 Faux Milk Glass Pumpkins – Milk Glass is a new trend that’s been popping up all over the place, so it’s the perfect look for a trendy fall display indoors or out. While it’s not real Milk Glass, it’s sure to grab your guests’ attention! 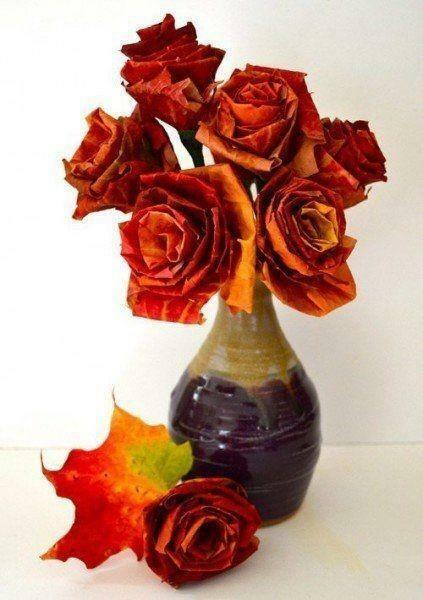 Autumn Leaf Roses – These gorgeous roses are completely made out of leaves! This is a pretty easy to follow tutorial but in case it is hard to understand (or if you are a visual learner) we also found this handy video. 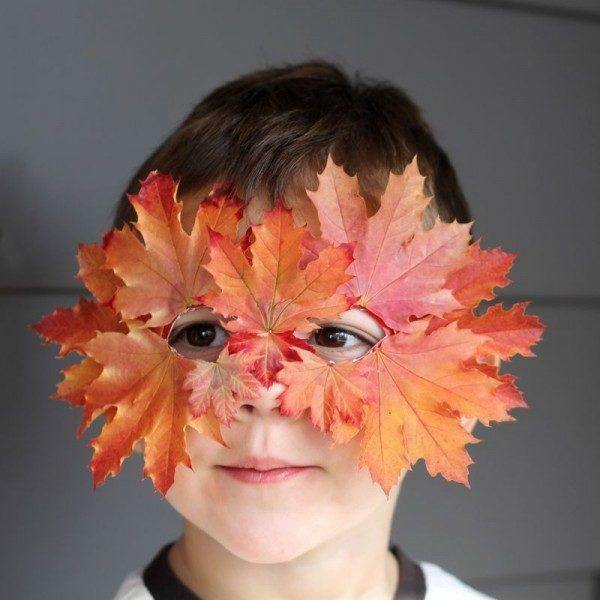 Autumn Leaf Mask – Create some truly magical experiences with this majestic autumn leaf mask! You could even use this as part of a Halloween costume! 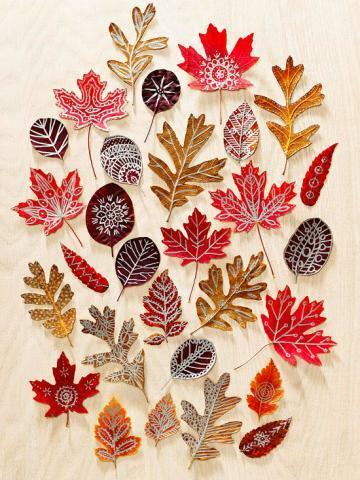 Doodle Leaves – Probably our favorite autumn leaf project, these gorgeous doodled leaves are fun and creative! Grab a white sharpie and go to down with the doodles. There is no wrong way to doodle on a leaf. Creepy Crawly Insect Lamps – Use this simple illusion to add giant roaches and other insects to the inside of your lampshades. 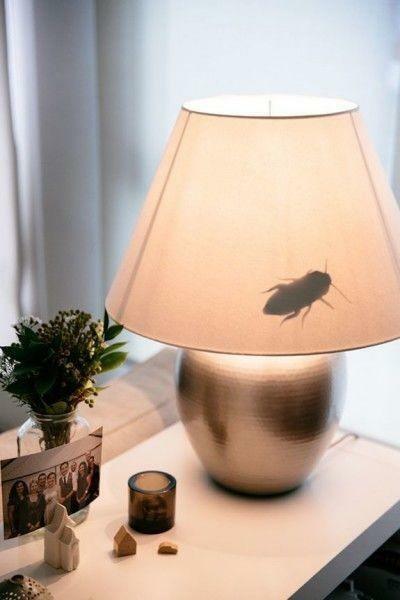 You’ll love the shriek of surprise your guests let out when they turn on the lamp and are presented with the shadow of a bug! 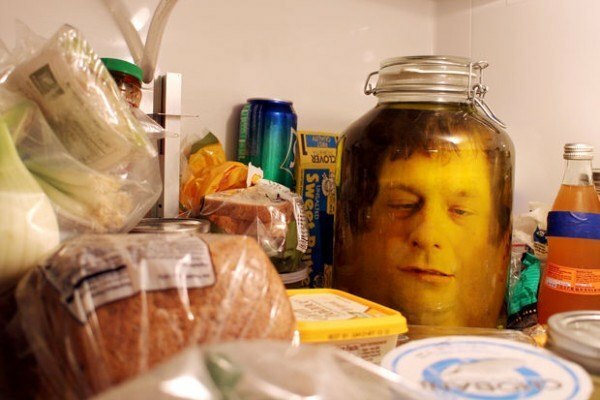 Head In A Jar – Imagine finding this surprise in your fridge! Guess what, it’s just paper! This quick and easy tutorial comes complete with a head printable for you to use and freak out your friends. 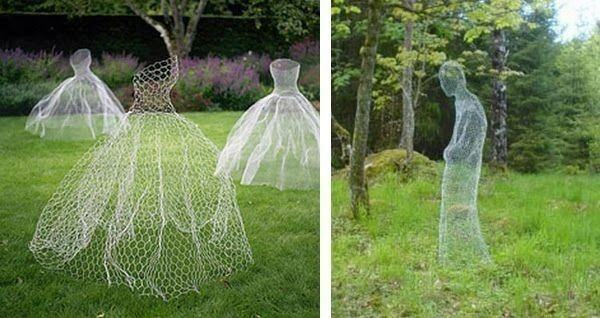 Chicken Wire Ghosts – These are the best Halloween yard decor. 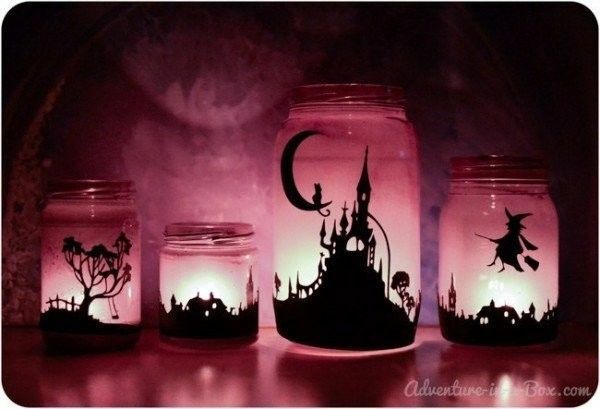 Shape them from chicken wire and paint them with glow in the dark paint to create creepy, ghostly figures that haunt your yard at night! 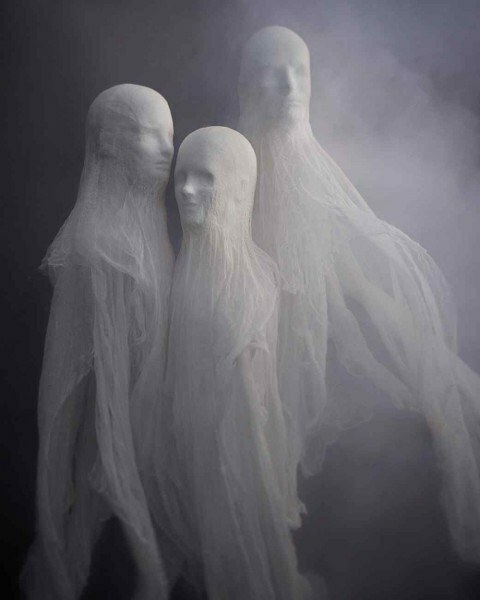 Cheesecloth Spirits – These make for great, haunting party decor. Suspend them from the ceiling or hang them out on your deck or front porch to freak out your neighbors. 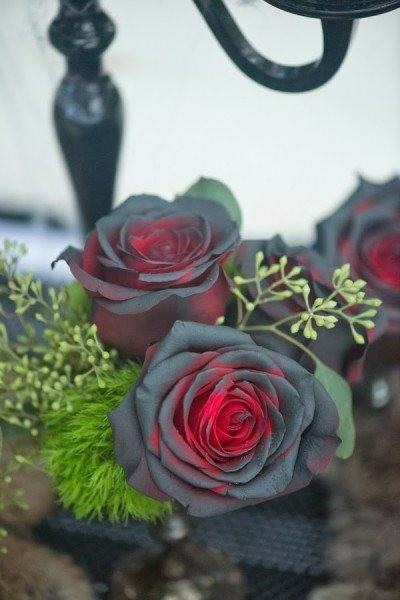 Black Roses – These roses are gorgeous! 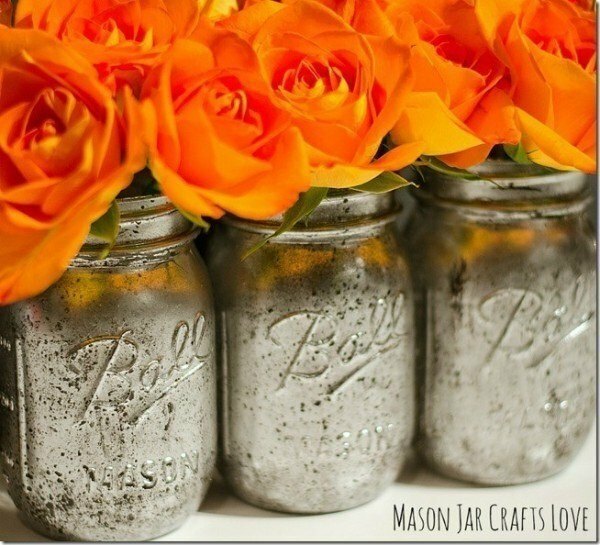 Grab yourself some cheap fake roses and dust them with a little bit of black spray paint for a stunning centerpiece addition. 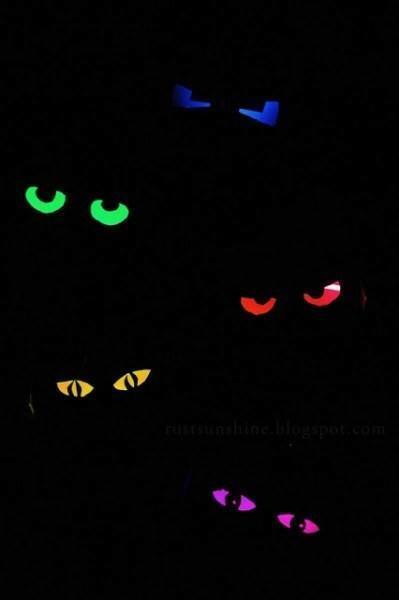 Glowing Eyes – What’s spookier than glowing eyes watching you from the bushes? 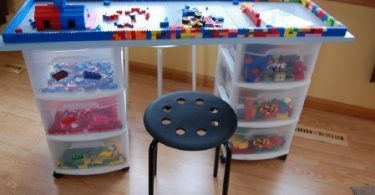 These are astoundingly easy to make for a fun and create addition to your yard. 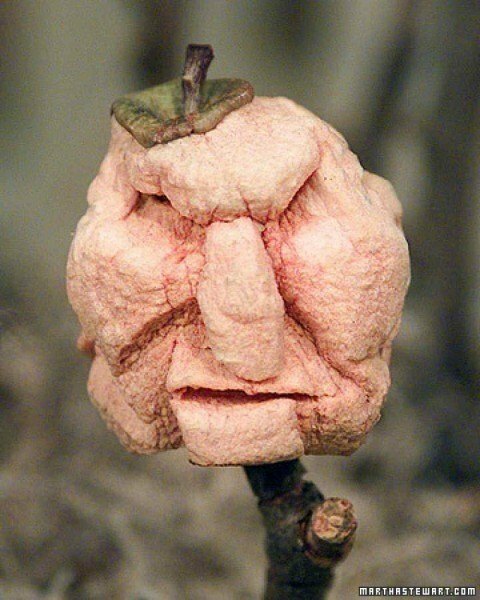 Shrunken Heads – Who knew that carved and dried apples make for the perfect shrunken heads? Use them for anything – stick them on tree branches or tuck them in planters, you can even float them in cider for a creepy treat!